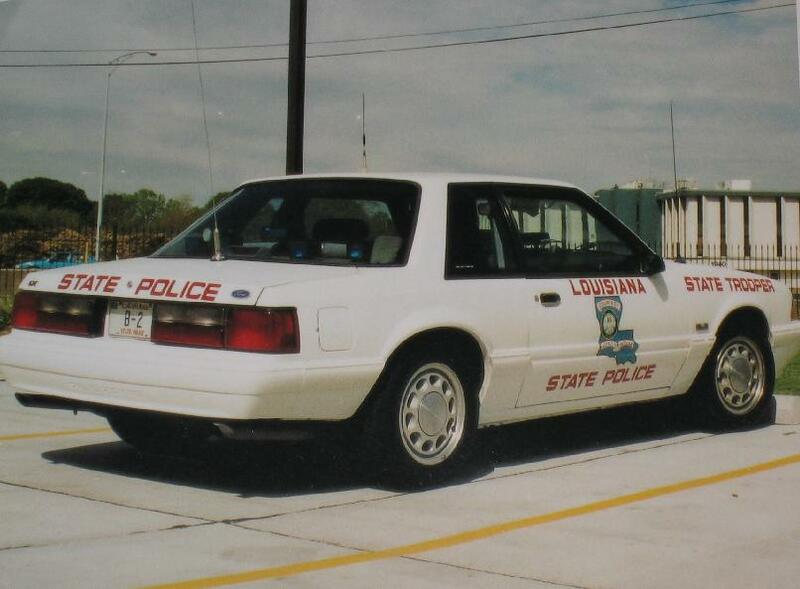 1993 Loiusiana State Patrol Mustang, with the "Blue Max" front plate. The "Blue Max" is an award given out annually by the LSP to the Trooper who recovers the most stolen vehicles (with arrests). This particular car has a Whelen Dashmaster mounted to the headliner, and a Code 3 Deckblaster on the dash. 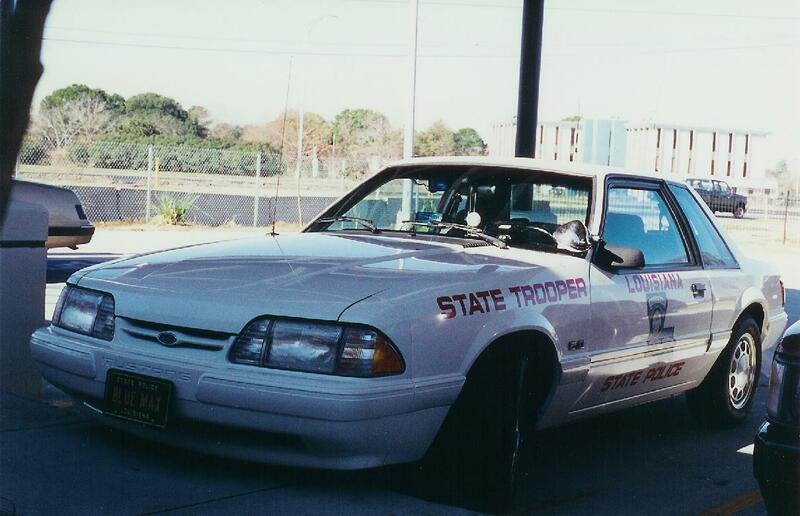 Another 1993, with numerous Whelen Dashmasters on the rear deck and headliner.